The Wells Foundation has a long history of creating social impact through technology innovations. We believe that sustainability can be accomplished by technology oriented social enterprises that generate earned income and by increased efficiency in fundraising leveraging technology and data analytics. Together we created a world class fundraising solution combined with national social media and data analytics to build a stronger community. The new social enterprise ds-connex was created and is jointly owned by multiple nonprofits and funded by the Wells Foundation. 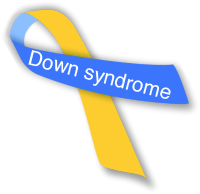 Ds-connex has helped the Down syndrome community raise over $8 million for advocacy, education and local programming. This can primarily be attributed to increased fundraising results at the local level, with top events more than tripling total fundraising after just one year with ds-connex. On average, most events using ds-connex were able to grow fundraising by over 20% and the number of participants by over 10%. We published white papers providing insights to proven methods to drive team captain results, proper pricing, timing of promotion, and motivation of donors and participants. With the proven results from our the Stride Fundraising Solution and community building approach within the Down syndrome community, we started allowing other grantees offering walk, rides, and triathlons to leverage our philanthropic investment to engage new participants and raise more money for programs. Today we partner with many charities to support fundraising events in 30 states. The Wells Foundation has four dedicated staff providing advice on the latest trends in philanthropy, peer-to-peer fundraising, engagement contests, social media strategies, and how to build high performance team captains. Below are just a few of the nonprofits that we partner with to raise money for local programs. Data analytics is the process of using your fundraising data you already collect to develop deeper insights and uncover trends. Understand the motivations behind your stakeholder’s actions and uncover hidden truths will help you make confident decisions and drive fundraising strategies. 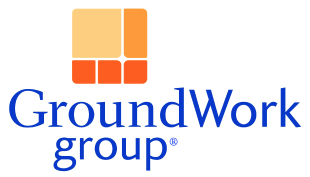 The Wells Foundation provides grants for data analytics experts to help our grantees target long term high performing peer-to-peer event participants. Let’s connect and explore how our experience with technology innovations for fundraising can support your community. Click the button below and send us a message.